CoinGecko is glad to announce a partnership with Decentraland, a virtual reality platform powered by the Ethereum blockchain. At CoinGecko, we are extremely passionate about the potential that non-fungible tokens (NFT) offer and we are excited to play an active role in the development of this space. We are excited that the leading NFT platform, Decentraland, shares our vision and we are excited that we are able to work closely together. There are 2 Ethereum tokens related to Decentraland namely, MANA and LAND. MANA is Decentraland’s fungible ERC-20 token that can be used to purchase LAND parcels along with the goods and services hosted in Decentraland. The physical, traversable space within Decentraland is represented by non-fungible ERC-721 LAND tokens, with each token recording the x,y cartesian coordinates of the parcel within Decentraland’s map, making each parcel unique! CoinGecko is hereby proud to announce that we have obtained our first parcel of LAND at coordinate (-56,116) and are looking to develop this new virtual space. We would like to seek your opinion on some ideas that we can take to develop this plot of land and you may comment below. is permanently owned by the community, giving them full control over their creations. Users claim ownership of virtual land on a blockchain-based ledger of parcels. scenes to interactive systems such as games. CoinGecko aims to provide a fundamental analysis of the crypto market. In addition to tracking price, volume and market capitalization, CoinGecko tracks community growth, open-source code development, major events and on-chain metrics. CoinGecko’s objective is to elevate crypto participants’ understanding of fundamental factors that drive the market. CoinGecko is one of the largest and earliest crypto data aggregators, operating since early 2014. It currently tracks nearly 3,300 tokens from more than 260 cryptocurrency exchanges. 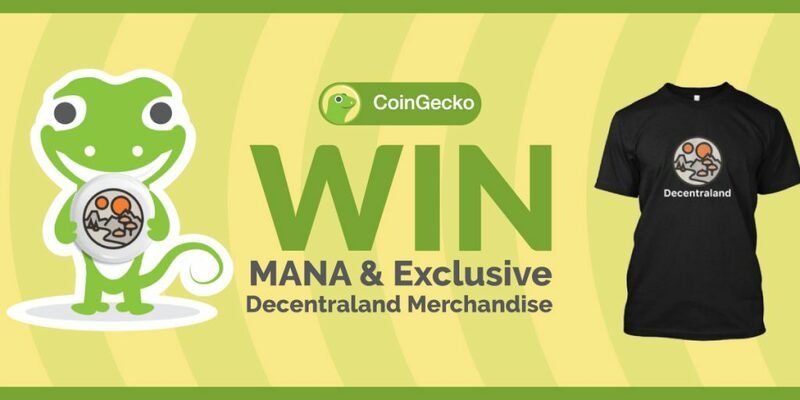 For more information, visit https://www.coingecko.com.